It was created as a need to establish one notable and distinctive Specialty on European continent and it has become a measure of value and quality of AmStaffs. Ever since the first show, we had a great support from the Amstaff fraternity from Europe, and we also had visitors and exhibitors from other continents and countries, such as Argentina, Mexico, USA, Australia etc. The show became popular among Amstaff aficionados, and one of the reasons is probably great atmosphere in and around the ring. Exhibitors and judges have nice memories from these shows, which recommended it to the show organizers in many different countries. Basically, we respond to inquiries of interested Clubs which are willing to organize such a show and willing to use the name of Amstaff Major, in order to attract people involved in this breed to a quality Specialty event. In 2016 we were invited to expand it to another continent, and we organized AMSTAFF MAJOR Latinoamerica in Mexico City. Hopefully, this will become an annual show in Central/South America as it is in Europe. Our main goal is that AMSTAFF MAJOR should be held each year in a different country, with the best judges available at the moment, guaranteed fun and good times for all participants! ​Amstaff Major #8, Szilvasvarad, Hungary, 2018. We will have a Country Competition at Amstaff Major! 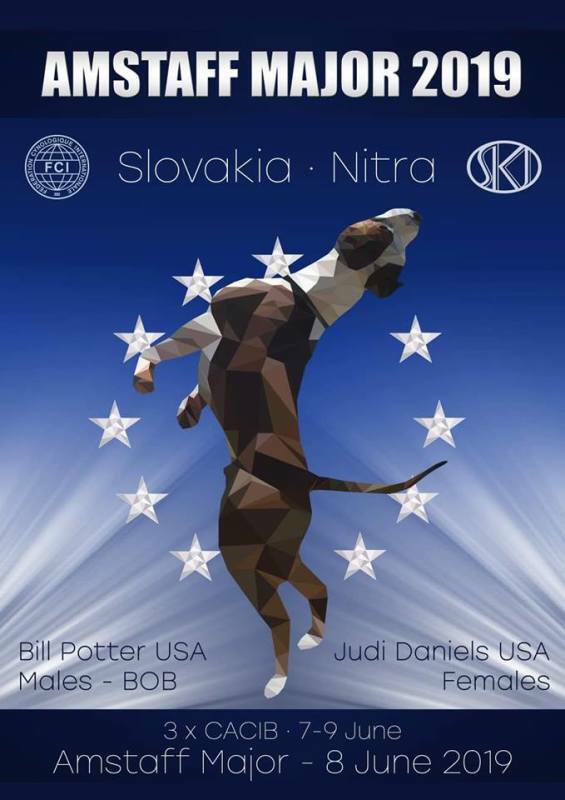 Groups of 3-5 dogs will be formed on the day of the Show, based on the country where they were bred, and the judge will pick up his favorites! Each country should select one group. All dogs for Country Competition must be entered to the Amstaff Major, and older than 9 months. It is a LOT of fun! Winners of each class and title will be properly awarded. 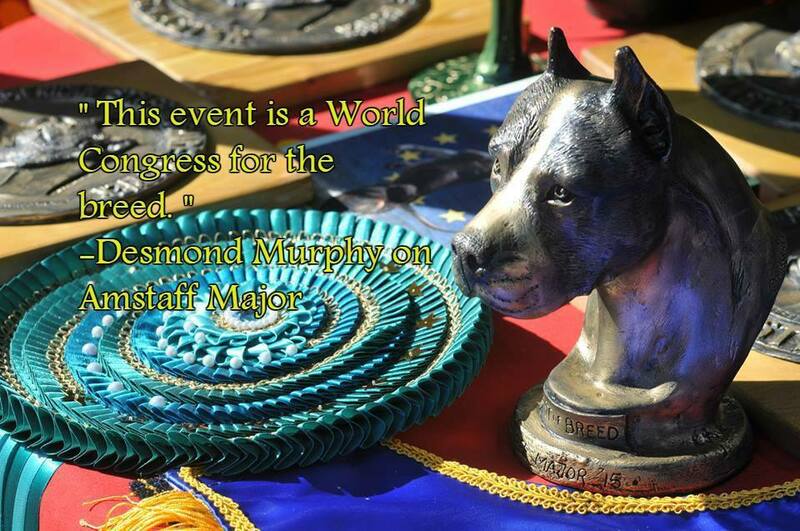 Original AMSTAFF MAJOR Trophies are hand made by Alexis Domenech Ochotorena from Spain. In addition to our awards, if you want to become a sponsor of a class or title winner, either personally or as a Club, you may donate a trophy, painting, statue or cup, and your name will be mentioned in the special section of the Show catalogue. You may name a trophy after your kennel or dog! For example, Best Female may win a "Redbolt" Trophy. If you are interested in organizing AMSTAFF MAJOR in the future, please contact us!